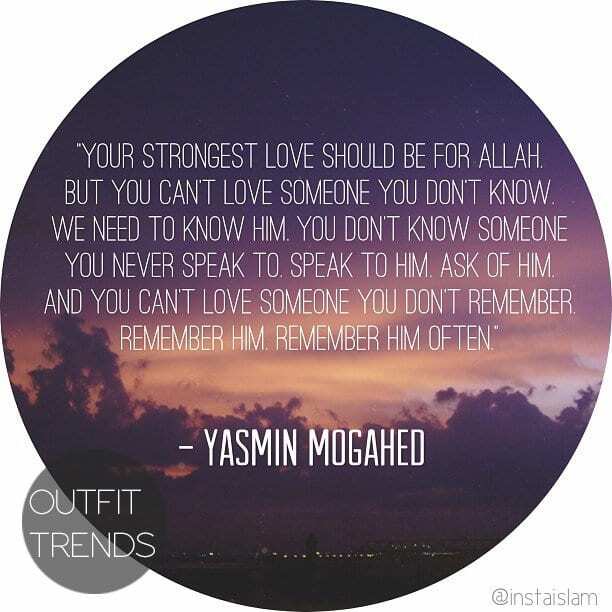 Islamic Quotes About Love. 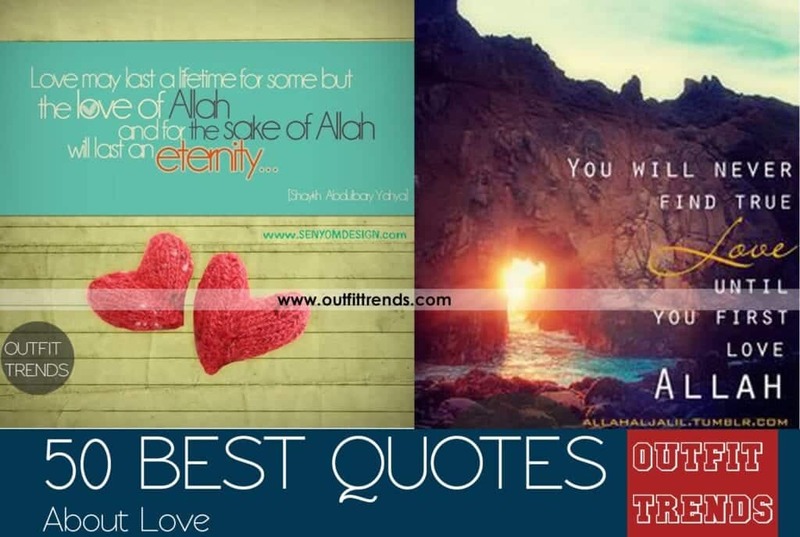 Here are some immensely inspiring quotes about love that Islam and some Islamic quotes define and comprehend in the best way. These quotes do not only emphasize the love that constitutes some relations but goes beyond the surface definitions of love. Have a look at these 50 amazing quotes that describe the love of marriages/relationships, love that you may feel for your creator or a love for passion. The strength of love that comes with the truest commitment with the God and the implementation of his teachings. Love is mostly affiliated with carrying out the traditional ritual but surely it has much more to do with than just tying those bonds. The power and endless amount of fortunate bliss that comes along the way when you devote yourself to the existence and belief in Allah. That being on the right path of the religion, will lead you towards the right path and that is the path of Allah and what He wants you to follow. About how much Allah loves those who believe in asking Him, and that once again reflects on the fact of how powerful and impacting dua is and can be. About how faith and love are interrelated and faith ultimately leads to creating a powerful relation with Allah. All the signs of Allah that influences you to stay on the right path are the signs that he loves you beyond any possible means of measure. The concept of pairing and how each pair has first been created and then sent to the earth for existing is present and no denying of this fact can be done. The scripts of life have been written beforehand and only needs your dedication, while the rest will be taken care of. When we talk about the actuality of love and how it is evolved into its best version, then a concept such as this one, barges in. Because at the end of the day, all love is deserving of the person who wants to lighten up your akhirah even more than your day. The evidence that is specified in the Holy Quran in the clear words that human beings were created in pairs and hence you will end up with someone who belongs beside you. The responsibilities that come along with love and cannot be avoided. How all of this is linked and fulfillment of one aspect is actually the fulfillment of another. And what is meant to be, will always find its way to you no matter what. That by granting us what we want, says so much about how our creator loves us and is beneficient towards us. The idea that your love and kindness with people comes within your faith in Islam. The strong and significant difference that comes when the love you experience is for your creator and his creations and the love you experience for this timely world and its temporary offerings. That difference speaks a lot about where are you going in this world. Even you are experiencing pain and conflict and your mind is influencing you to give up, then you have to keep believing that things will get better. It’s not about leaving or walking away from someone with a shakable belief but rather about turning that person’s belief into an unshakable one. The actual love that steps in is when someone is offering a lifetime to spend with you and does not back out from the commitment whatsoever. The accurate skill is when you recognize it right. It is quite relevant that when love becomes just for the sake of Allah, it become righteous and noble and the faith becomes unshakable. Falling for the right person is about someone who brings you towards the right path and help you abstain from the wrongdoings. About how true love continues till a good lifetime and does not simply end with death. But this love has to be justified and in accordance with what Islam has offered or also it will lose its meaning. The utter togetherness of a couple comes when they pray together, stay on the right path together and eventually will find each other in heaven as well. Why love can be the much better solution for bringing out strength and the element of being a bigger person, probably much more than hatred or conflict can or will. Being a source of light for someone or showing the right way is another lesser prominent form of love. But it needs to be recognized.